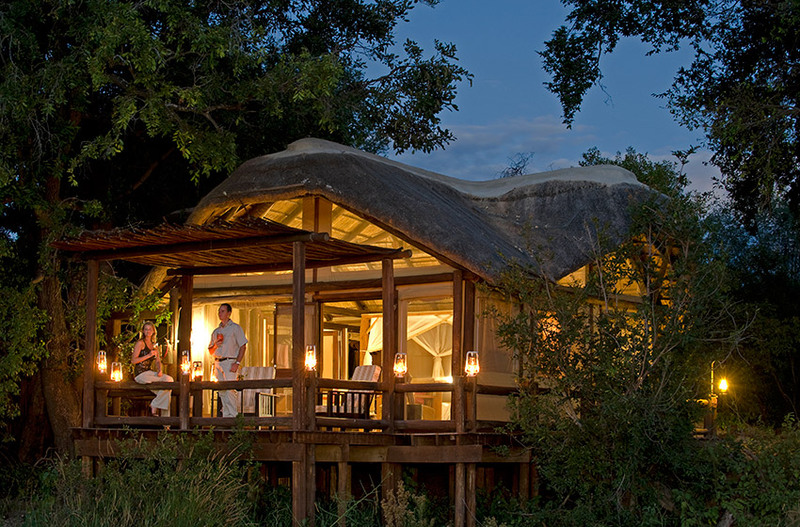 We are delighted to announce a major investment programme for our luxurious flagship camp – Sanctuary Chief’s Camp. 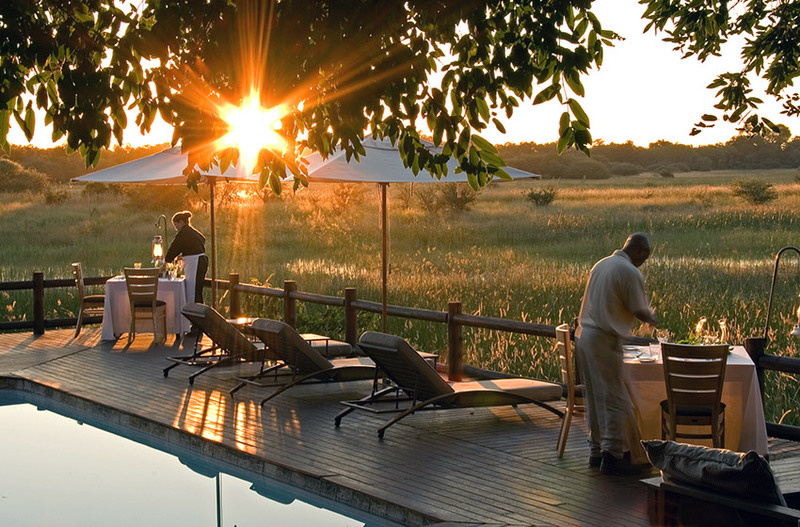 Renowned for its exceptional levels of service and customer experience, our exclusive camp is consistently rated as one of the top safari camps in Botswana. 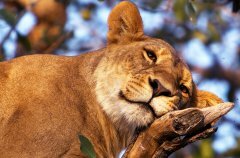 It is located on Chief’s Island in the Mombo Concession of the famous Moremi Game Reserve in the Okavango Delta, an area known as the ‘predator capital of Africa. We look forward to welcoming guests to the new-look camp from June 2016. We are delighted to announce a major refurbishment programme for Sanctuary Chief's Camp. Work takes place 9 January - 31 May 2016, during which time the camp will be closed. 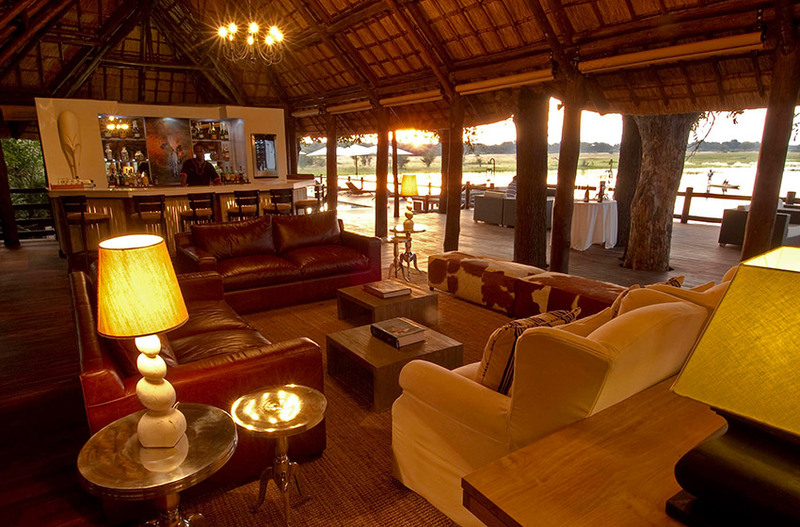 » The new Geoffrey Kent Luxury Suite, consists of two pavilions and features a private bar, boma, lounge and kitchen, all serviced by a private house-keeper, waiter, guide and vehicle. 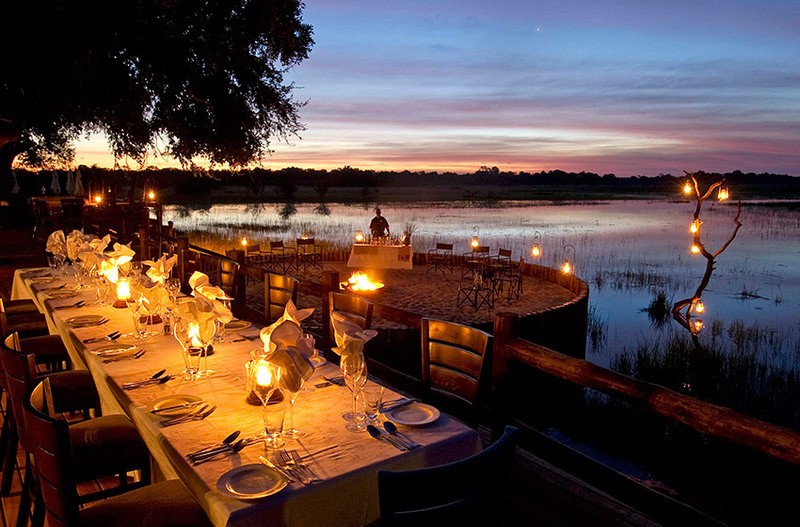 Bring yourself closer to nature with a dinner in the atmospheric Boma at Belmond Savute Elephant Lodge. There is no better place to experience the sunset than from Belmond Eagle Island Lodge’s Fish-Eagle Bar. 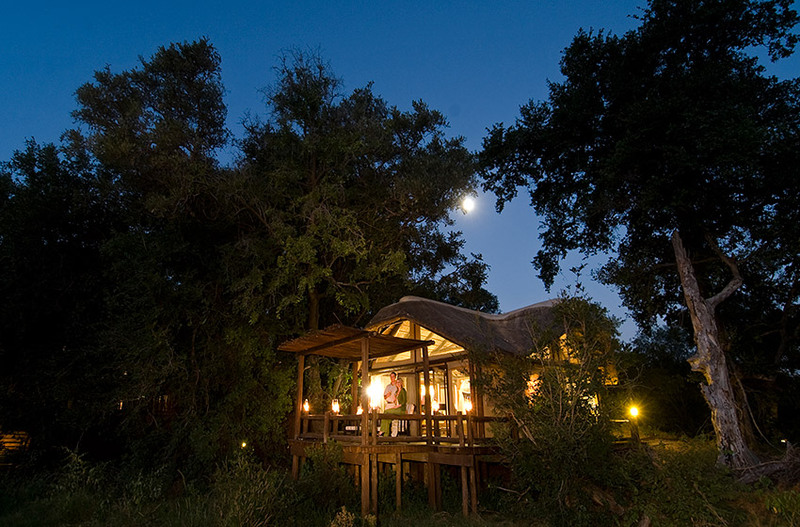 Enjoy superb cuisine, fine wine and discreet service with a romantic dinner beneath the star-studded African sky, served on the deck of your room. 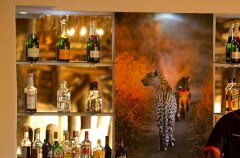 All the main and public areas of the camp are being extensively refurbished in a 'safari chic' style including a newly designed bar and library area, the extension of the dining room and the addition of a pizza deck with pizza oven. 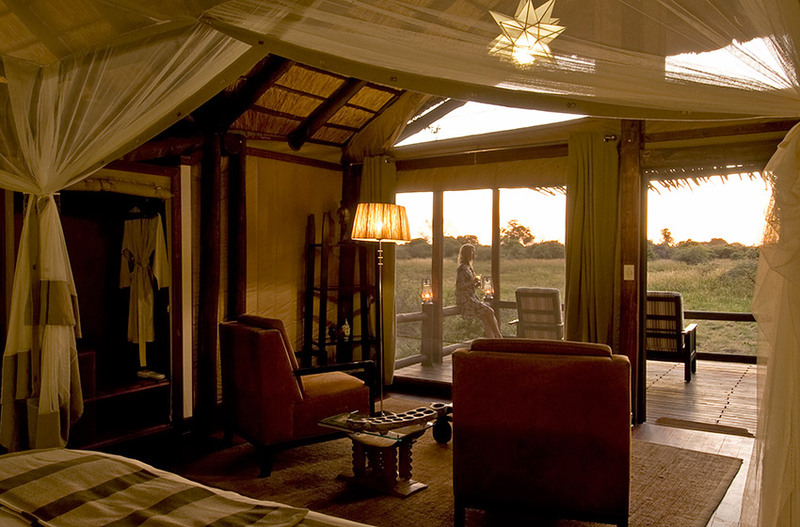 A new orientation room where guests can learn more about the Delta before going on game drives will be added as well as a gym and fully equipped kids play room. Sanctuary Chief's Camp supports Plants and People Africa, a botanical research and community outreach project in the Okavango Delta, Botswana. 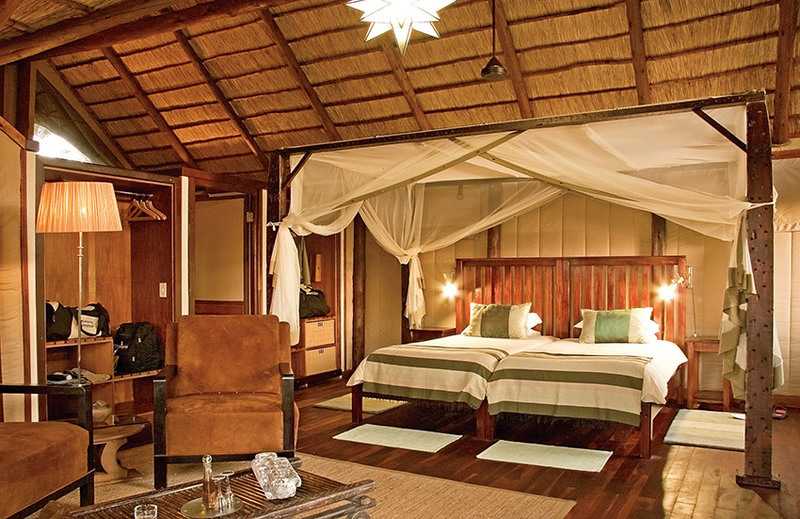 The new Sanctuary Chief’s Camp will open on 1 June, creating the ultimate contemporary safari experience in what is considered the best location in Africa. With brand-new stylish pavilions and matching public areas, combined with its already renowned levels of service, Sanctuary Chief’s Camp will set new standards. 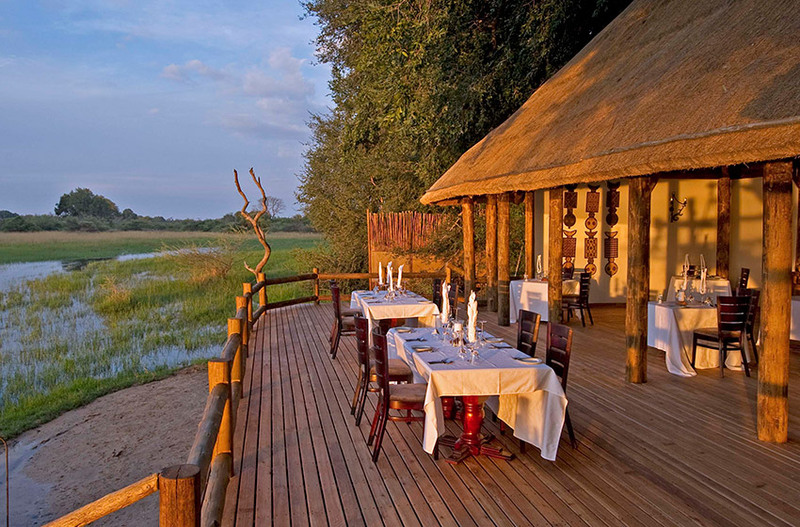 It is located on Chief’s Island in the famous Moremi Game Reserve, the ‘predator capital of Africa’. Size of pavilions will increase significantly from 51 sqm to 141 sqm, each pavilion will feature a tranquil outside seating area and a terrace plunge pool. New bathrooms will offer a spacious outdoor shower and a large bath tub. There will be a new gym and a kids play room. As with all Sanctuary Retreats’ camps and lodges, the building of the new Sanctuary Chief’s Camp has been done in conjunction with local craftsmen and authorities to minimize the impact on the environment and offer guests luxury that respects the natural surroundings. A solar farm which is one of the largest in Botswana has been built to help minimise the impact of the camp by supplying the majority of all required energy. 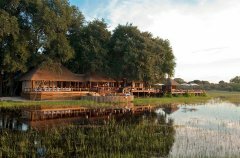 New bathrooms will offer a spacious outdoor shower, a large bath tub, beautiful floor to ceiling windows and folding glass doors with a stunning outlook over the surrounding waters of the Okavango Delta. All the main and public areas of the camp are being extensively refurbished in a 'safari chic' style including a newly designed bar and library area, the extension of the dining room and the addition of a pizza deck with pizza oven. 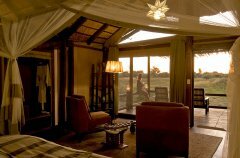 A new orientation room where guests can learn more about the Delta before going on game drives will be added as well as a gym and kids play room. Subject to availability, part of The Geoffrey Kent Luxury Suite can also be booked as The Geoffrey Kent Mini Suite, accommodating 2 or 3 guests, consisting of one large bedroom with en-suite bathroom, private pool and seating area, large central dining and living room, private boma with fire pit, secluded deck area and private kitchen and bar. 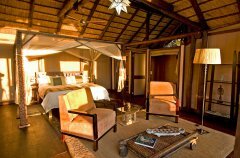 The Geoffrey Kent Mini Suite also includes private vehicle with personal guide, private chef, waiter and housekeeper and premium drinks. Executive Chef Harry Feiersinger, whose culinary education started at the hotel school Absam Hall in Austria, has a true passion for food and will be delighted to cater for your every need. You might even be lucky enough to get a taste of his favourite dish, pork fillet in a mango basil sauce followed by cheesecake for dessert. specially selected spot. There are few things as spectacular as the sight of an African sunset, especially if you are also lucky enough to hear the call of a fish eagle, as yet another day comes to an end. 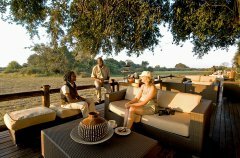 Return to the camp for pre-dinner drinks around the boma area as you discuss the sightings of the day with friends and family. Celebrating a special occasion? We can arrange a romantic private dinner on your suite deck or by the pool area. Dinner might include a choice of starters such as cream of butternut soup with mixed crushed nuts or deep fried camembert with spiced strawberry dressing followed by a choice of mains such as grilled impala with port and chocolate sauce on roast sweet potato or pan fried kingklip with shrimp sauce on braised rice. How could anyone resist passion fruit and lemon pudding for desert or maybe you would prefer a fruit or cheese platter? Single occupancy bookings are charged at the single rates listed. 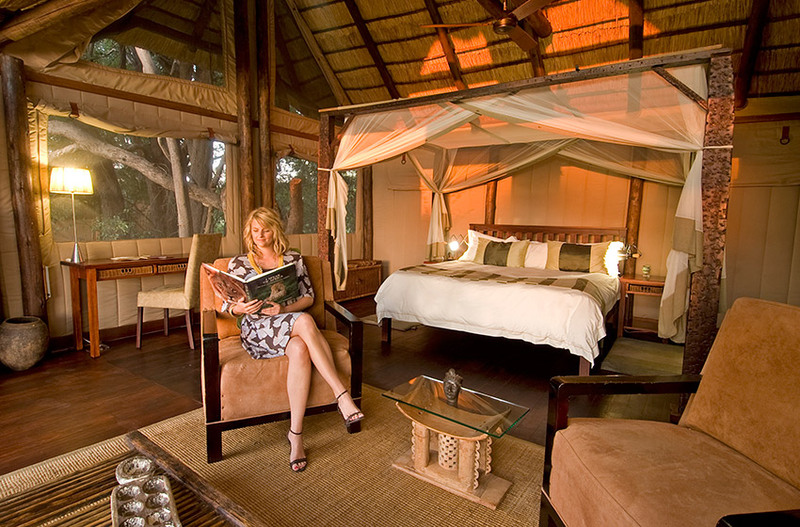 All single occupancy bookings for the Geoffrey Kent Luxury Suite are charged at 100% supplement of the two people sharing rate in Low, Medium, High and Peak seasons. Children aged 6 and over are welcome at Sanctuary Baines’ Camp and Sanctuary Chief’s Camp. Children of all ages are welcome at Sanctuary Chobe Chilwero and Sanctuary Stanley’s Camp. Children aged 15 and younger are required to share with an adult and are not permitted on walking safaris. A private vehicle must be booked for game drives for families including children aged 5 and under. 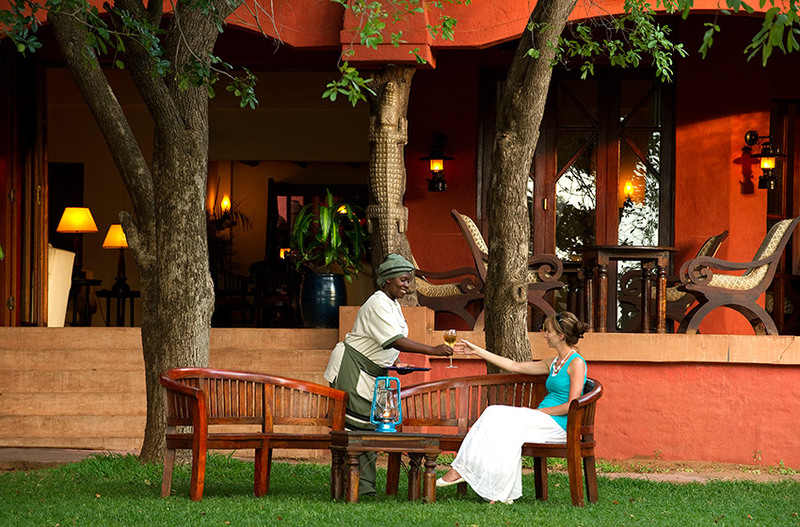 One child aged 6 - 15 inclusive stays free of charge in Low season when sharing with a minimum of 4 paying adults, subject to availability of a triple room/tent. 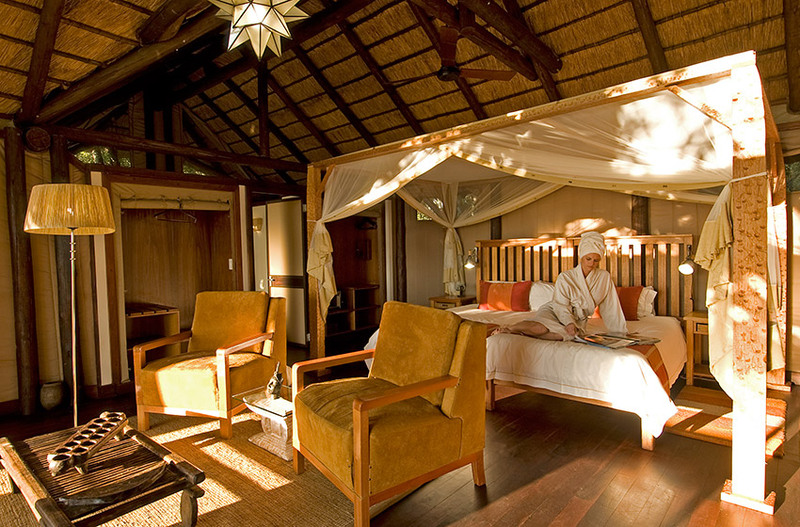 A second child aged 6 – 15 inclusive staying with a minimum of 4 paying adults pays child rate in Low season. One or two children aged 6 – 15 inclusive pay child rate when sharing with a minimum of 4 adults in Medium, High and Peak seasons. In all other circumstances children pay the applicable adult fare. 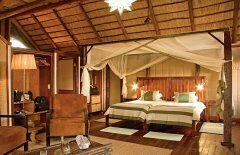 For example one child aged 6 - 15 inclusive staying with 3 adults pays the applicable adult fare in Low, Medium, High and Peak seasons. As the predator capital of the world, the game viewing is awe-inspiring. 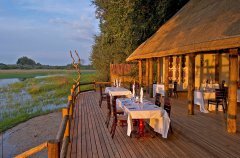 But apart from its predators, the Moremi is also renowned for its large concentrations of plains-game, elephant and buffalo. You will also no doubt see giraffe, impala and zebra. Endangered wild dog also make this area their home. Several lion prides as well as genet cats and hyena also live in abundance here. 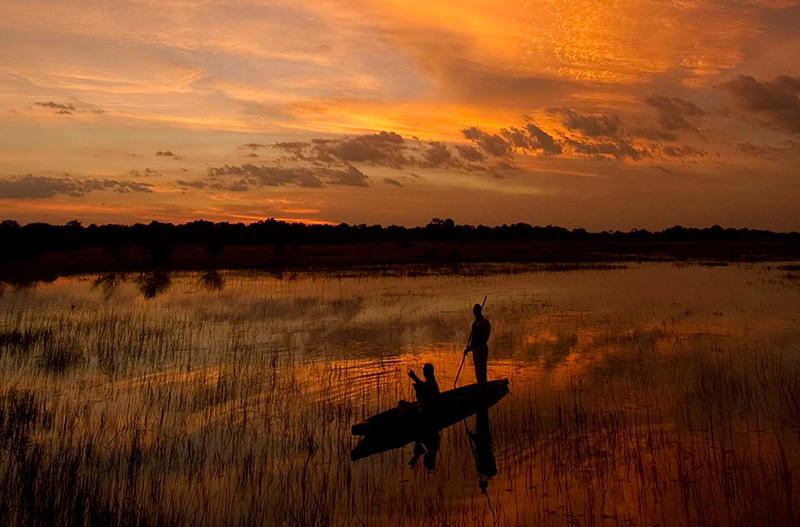 Like the rest of the Okavango Delta, the area is a paradise for bird lovers, with over 500 species. Green season is known for turning the bush into a wildlife nursery. There are so many new-born mammals, from baby antelope to young lion cubs and leopards running around as they discover their surroundings. Guests have also had good sightings of the rare migratory birds. 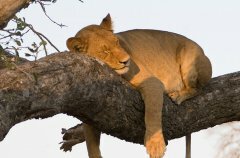 There have been lots of lion pride sightings of late, including a coalition of four males and the local tree climbing lions. 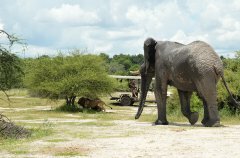 Guests at Chief's Camp also witnessed a herd of elephants chasing off a pride of lions for being too close to their young calves. Guests were welcomed at the airstrip by three lionesses from our tree-climbing pride - at some stage they were even trying to hunt, but were unsuccessful. On a separate occasion male lions were spotted near our airstrip and they had four lionesses with them and a young male cub. We have been lucky enough to have quite a few Leopard sightings in the area recently. 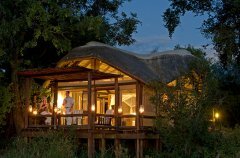 The highlight for guests was watching a leopard successfully stalking a young baboon in the tree tops, jumping from tree to tree in pursuit. Guests were treated to sightings of Wild Dog in the area, including a pack with several young mouths to feed meaning lots of successful hunts to watch. BOTSWANA AND VICTORIA FALLS : 8 night safari: Experience the magic of the Okavango Delta and the wildlife that frequents it as well the huge elephant population of the Chobe, finishing with the magnificent Victoria Falls. 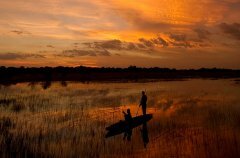 HEART OF DELTA :5 night safari: The Okavango Delta, the largest inland delta in the world, supports a rich and colourful wildlife just waiting to be explored. 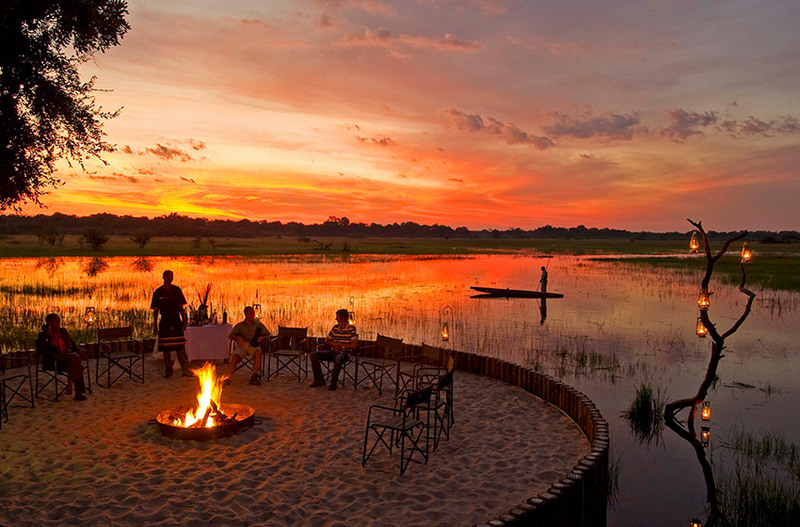 Combine two of our Delta camps with this itinerary. 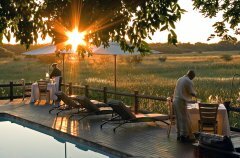 HIGHLIGHTS OF BOTSWANA : 6 night safari: This safari package includes stays at two tented camps in private concessions in the Okavango Delta, as well as a luxury lodge in Chobe with a full spa. 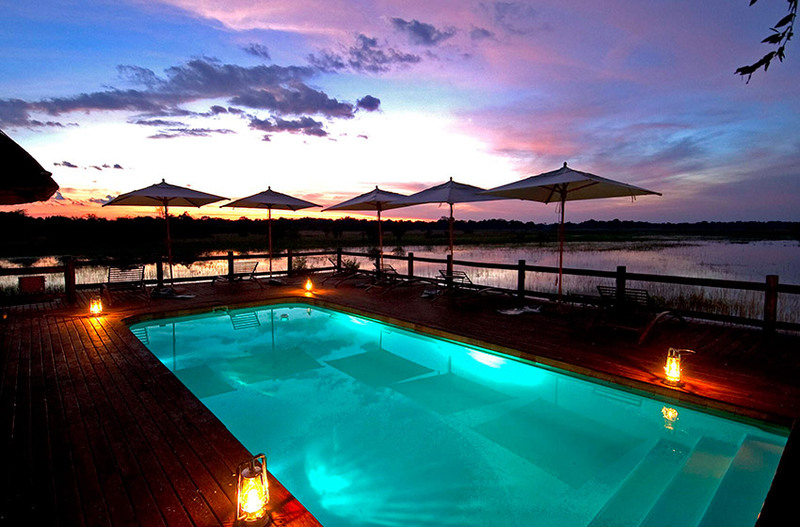 Sanctuary Chief's Camp has its own licensed private airstrip which is located approximately two kilometres from the camp. The transfer from the airstrip to the camp takes approximately 40 minutes. 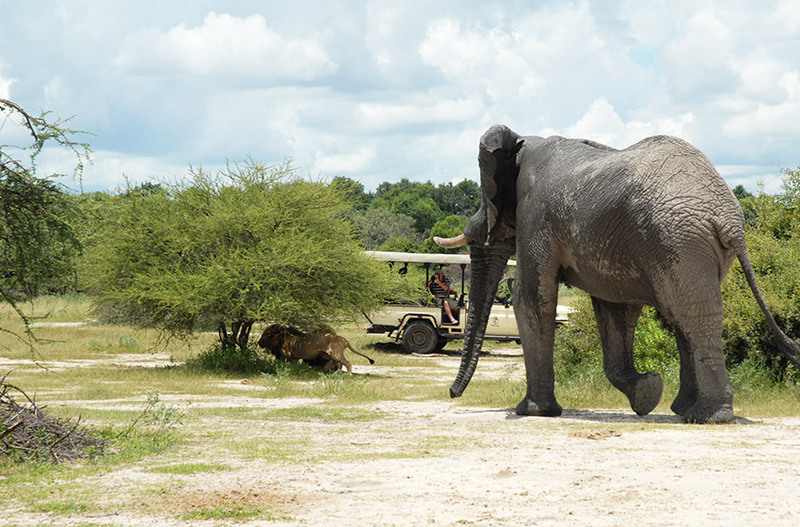 The airstrip is accessible from Maun (25 minutes), Kasane (1 hour 30 minutes), Sanctuary Stanley's Camp (15 minutes) and Sanctuary Baines' Camp (15 minutes). Please note the luggage restriction is 20kg per person in a soft-sided bag.